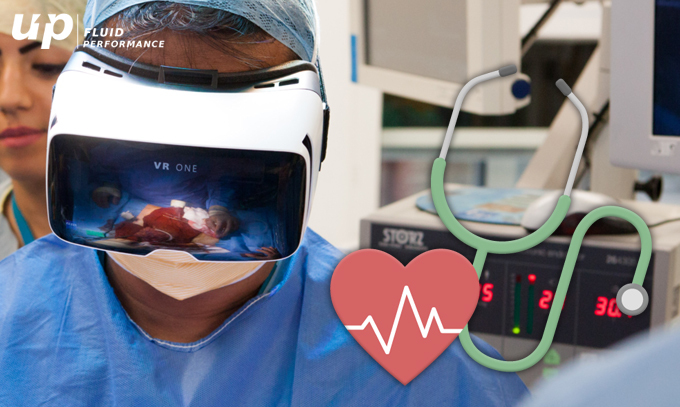 Cedars Sinai Hospital located in Los Angeles, USA has recently incorporated the Virtual Reality concept in treating ailing patients to relieve them of their pain. It is reported that there is 24% drop in pain score for all those patients who underwent VR Therapy at this particular hospital. It is important to have a visual example of how this concept can ease patients of their ailment if successfully incorporated. This VR concept is not new. But this particular technology has shifted its’ base from the gaming industry and gradually seeping into almost every fields. This new invent has taken over the healthcare industry by storm, finding out new and innovative ways to treat the patients and in some cases, have successfully eased their pain.The example of the above mentioned Cedars Sinai Hospital proves the very fact that this technique is beneficial if introduced in the Medical sector. The video displays this very fact. Therefore, virtual reality technology transport us into a make-believe computer generated world, blurring the line of difference between the real world and virtual world. Now you can visit the prehistoric period or take a stroll along with dinosaurus or swim with the fishes underwater. All you need is the VR head-mounted eye goggles and then you are all set to visit the artificial world. It is an exposure therapy to treat patients suffering from anxiety disorders such as post traumatic stress disorders and phobias. This therapy is used for acute pain management that involves distracting patients to reduce their pain. The scope of this concept is huge and has multiple applications in this sector. More and more doctors are opting for this type of therapy to help their ailing patients and the results achieved are remarkable. This concept not only applies for treatment but can be used for giving a practical experience to new doctors and surgeons when getting trained. There are two types of healthcare apps. One section of apps has been developed for doctors and the other for patients. Let us discover the new avenues where this concept has spread it’s wings. Medscape- Medical News feed for both patients, medical doctors and students. VR apps for Meditation- This is kind of a virtual game that aims to help the patients with unobtrusive relaxing and improving yoga breathing technique. Deep VR- This is an entertaining app that helps a patient to relax and acquires the skill of controlled breathing. SnowWorld- This particular application is to distract patients and ease their pain during painful procedures. WaspApp- This is a phobia treatment application for those who fear wasps. NeuroVR is an example of a virtual surgery simulator. It makes use of stereo vision and bi manual tools with haptic technology to help train neurosurgeons. It is always better to have a 3D visualization while you are getting trained cause this gives a real life experience and helps you to study the different methods incorporated while conducting a surgery. Even if you make an error, you can always rectify it which is however not possible in real time surgery. The Healthcare industry is very vast and scope is immense. 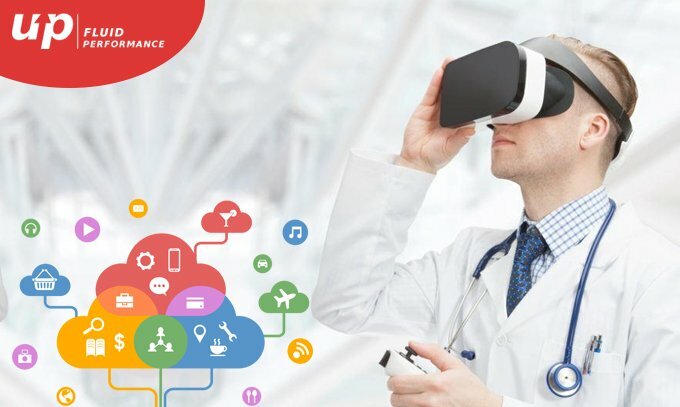 Virtual Reality concept successfully incorporated in various applications can solve many issues faced by both doctors and patients alike. Mobile Application Development companies need to program more such healthcare apps that will serve any medical purpose. The speed in which this technology is advancing, this vision will soon be realised somewhere in the near future and we will have a mobile app to answer any of our medical requirement.